WEST LAFAYETTE, Ind. — PEFCU Trust and Financial Center invites the Greater Lafayette community to attend a no-cost, no-obligation “College Savings Plans” seminar at 6:30 p.m., on Thursday, November 5, at the Lafayette Jefferson High School Lab Theater in Lafayette, IN. 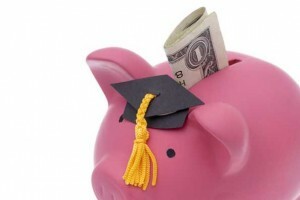 College is one of the most significant events in a person’s life, and 529 college savings plans are one of the best ways for parents and grandparents to save for a child’s education. Join us for an educational seminar where we will review the tax benefits, investment options and additional savings options that come with the CollegeChoice Advisor 529 Savings Plan. This is a no-cost, no-obligation seminar and is open to the public. Complimentary refreshments will be provided. Seats are limited. Reserve your space by Monday, November 2, by calling 765.497.8847, e-mailing rsvp@purdueefcu.com, or registering at www.purdueefcu.com under “Events Calendar”.